Pick n' Mix Cupcakes - Vegan Antics - Buy Vegan, Dairy Free, Gluten Free, Egg Free,Soy Free Cakes & Cupcakes Online. 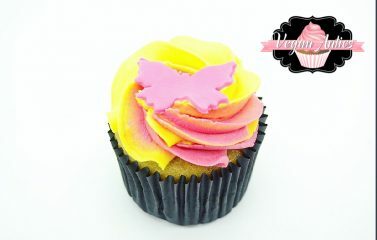 Our Pick n’ Mix Cupcakes are perfect for those who are looking to experience a variety of flavours. 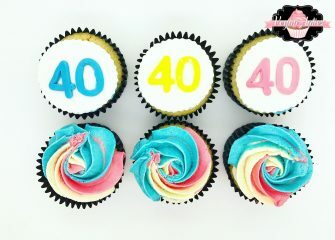 These 6 cupcakes come in 2 different flavours meaning you will get 3 of each flavour. 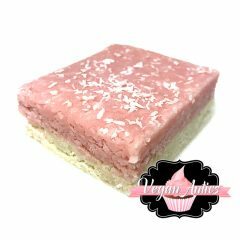 This product is our number 1 best seller!! With its countless combinations of flavours, you’ll never get bored when ordering this product! Our pick n’ mix cupcakes are dairy free and eggless (vegan) as standard and can also be made without gluten, soy and nuts so that everyone can enjoy our delicious delicacies! Order NOW and have them delivered straight to your door! 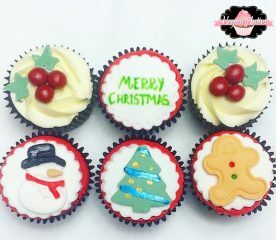 Alternatively, you can collect these cupcakes from our bakery in Gravesend, Kent. I ordered red velvet, raspberry and pistachio, and salted caramel for my pick n’ mix cupcakes, and I was not disappointed. I can’t pick a favourite as I loved them all! The cupcakes survived rough treatment by out postman, which is a real credit to the care put into the packaging. The cupcakes were soft, moist, delicious, and were the absolute best vegan cakes I have had to date. You will not be disappointed if you order from Vegan Antics. Best cupcakes ever! I ordered 6 of these for my sons birthday, he is a vegan and also coeliac, they were a massive hit! Tasted great, arrived in fab packaging and would definitely buy again and recommend. You won’t be disappointed! My daughter is ecstatic that she finally has a source of the most delicious vegan cupcakes. Thank you Veganantics!